So far Hawick is making this drama so much better than it is, but the plotline is being very redundant so far. 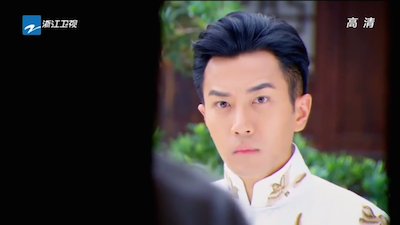 Pretty much we go back and forth between Cai Hong finding out the truth about Shao Tian, and then believing his lies again. It’s pretty frustrating on how the plot isn’t moving on, but I’m just hoping that it gets better in episode 19 & 20 (since I’ve already watched 17 and 18, and spoiler, we go for another circle). 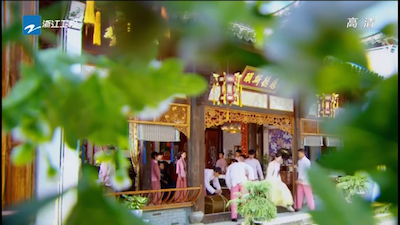 We pick up from where we last left off in Episode 14, where Fei Fei hands off an invitation to the new opening of a fabric company, called Rong Da. 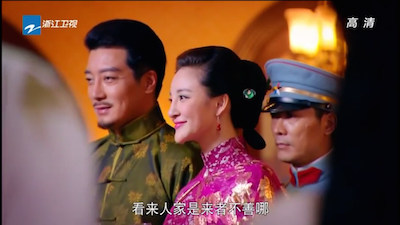 Poor Fei Fei picks her prettiest dress, and thinks that she’s going to be attending with Jiang Yu. BUT NOPE. 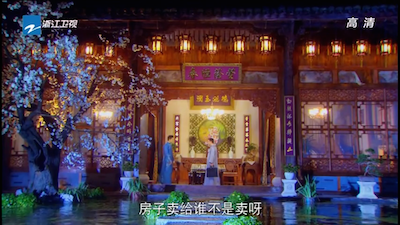 Poor Fei Fei is left out in the dark, while Jiang Yu gives Cai Hong a nice dress to change into, and decides to take her. 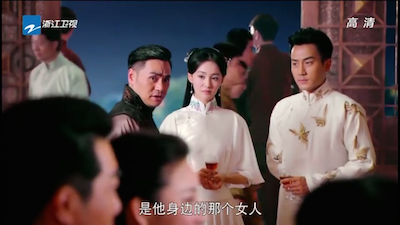 And this scene was super cute (because of Hawick) because Jiang Yu is stunned at how beautiful Cai Hong looks in the dress. It was a super adorable scene because he’s initially so stunned, he’s nearly speechless and shy. 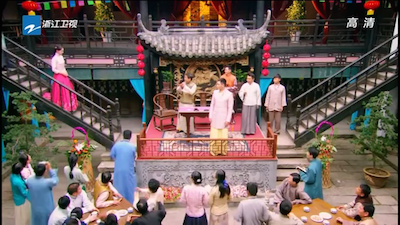 But Jiang Yu quickly puts on his dominant-boss demeanour, and commands her to go with him to the opening of the fabric company. 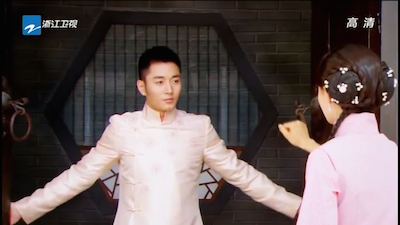 I actually feel so bad for Fei Fei. 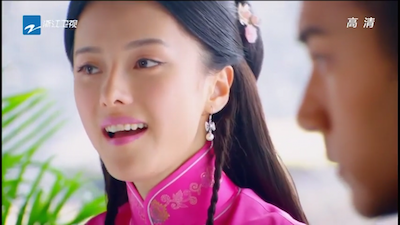 In every sense, she’s much more deserving of Jiang Yu – except he thinks of her as a little sister. 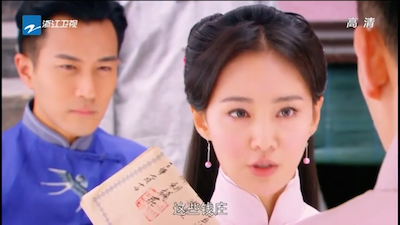 I wonder if she’s going to end up with Shao Tian. 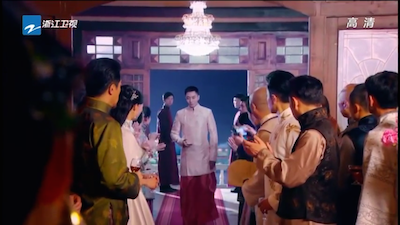 At the ball of the new company, they meet the owner, Lu Man. 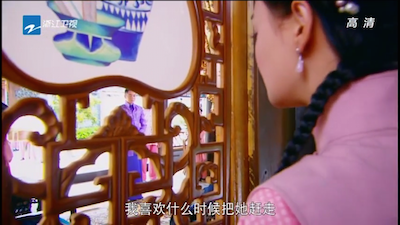 Here, we’re given more backstory about Lu Man – turns out she’s mistress of General Lu and has the largest fabric company in Hang Zhou, and was looking to expand in Hu Zhou (where Jiang Yu and Cai Hong lived). 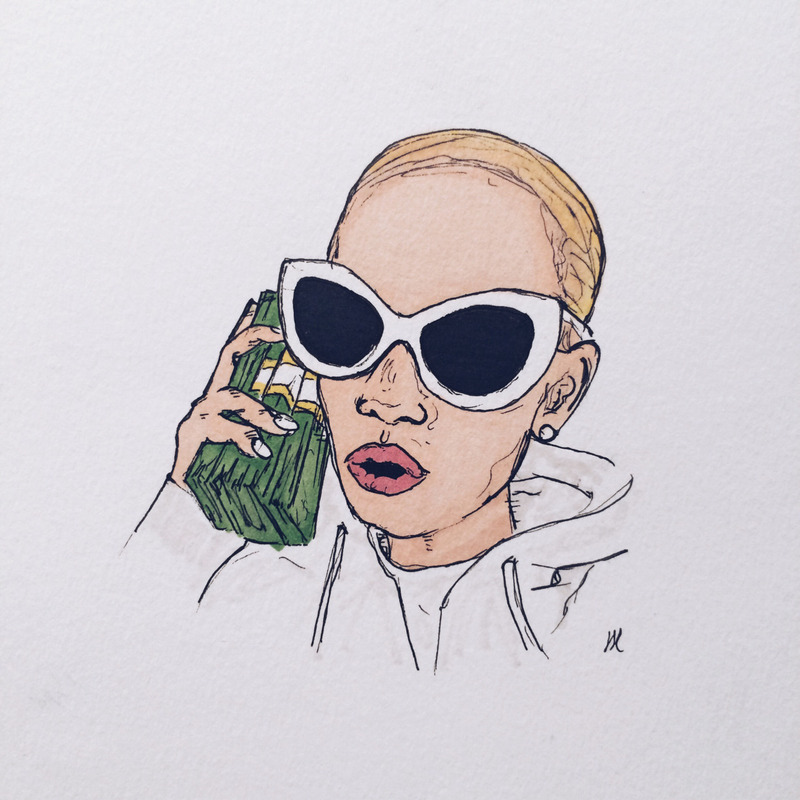 This is why she has so much power and money. 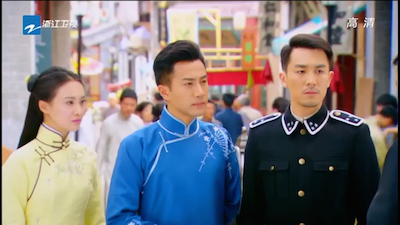 They introduce the new manager of Rong Da, which is Shao Tian obviously, and Cai Hong is stunned at how this happened. 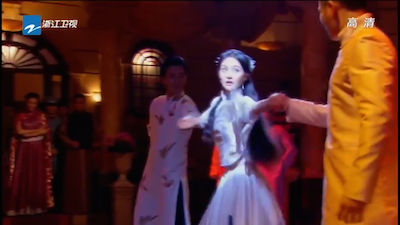 Ugh and we proceed to have an extremely unbearable dancing scene. 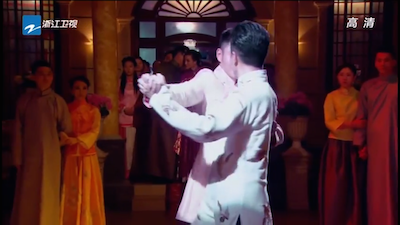 Shao Tian invites Cai Hong for a first dance at the ball, and professes his love for her. 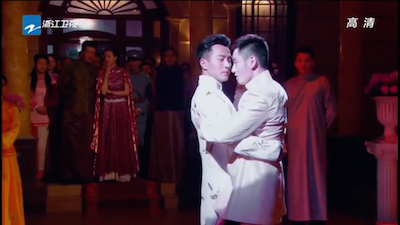 Jiang Yu looks on in jealousy, and somehow decides that it wouldn’t be awkward for him to go in and steal someone’s dance partner. Oh well, isn’t this awkward. I’m sure it doesn’t get anymore awkward than this. 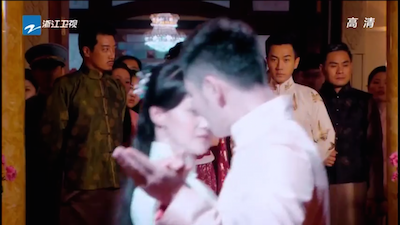 Oh and now Shao Tian steals her back for a dance, leaving out Jiang Yu out in the cold. And they both dip the girl . God, I feel like I’m commentating soccer or something. Well producers, y’all succeeded with flying colors. This was extremely awkward. 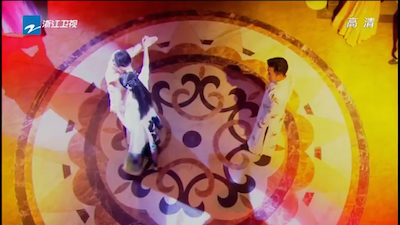 Finally we’re done with the excruciatingly long and ridiculous dancing scene, and Jiang Yu triumphantly takes Cai Hong home. 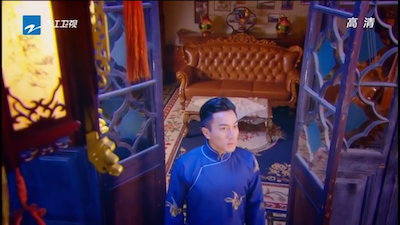 The next day Shao Tian shows up at the Jiang mansion looking to buy back Cai Hong (because she sold herself as a servant to Jiang Yu when she needed to repay back all that debt). 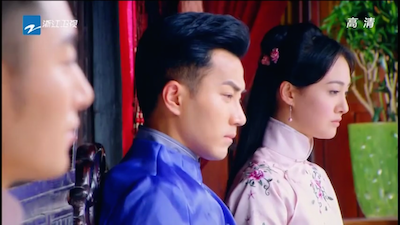 Cai Hong spies on their conversation. 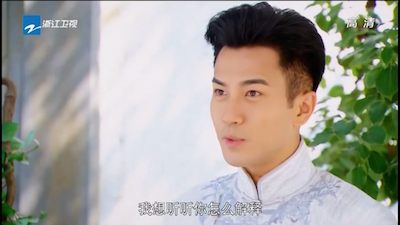 Somehow Shao Tian presents a ridiculous amount of money to get Cai Hong back. 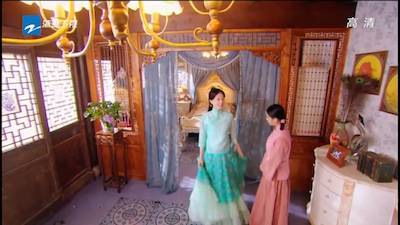 At the same time, Fei Fei shows up, and pushes Cai Hong out into the room, just so Cai Hong could leave the Jiang mansion forever. 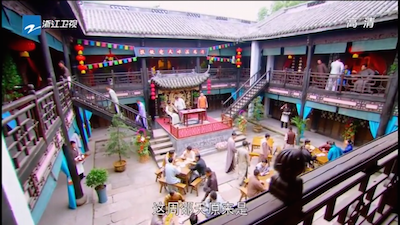 Cai Hong reassures Shao Tian that she’s happy and treated well at the Jiang mansion, and that she voluntarily sold herself to Jiang Yu, so she will take responsibility for it. 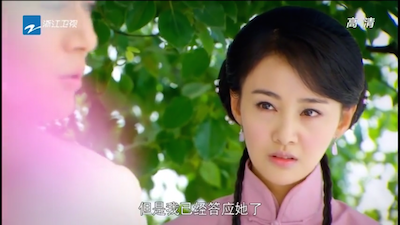 After Cai Hong’s refusal to leave, Jiang Yu commands Fei Fei to send off Shao Tian. 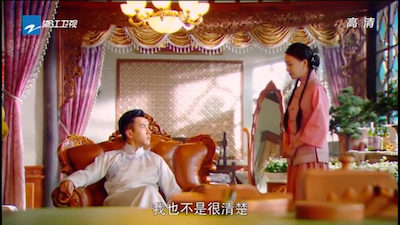 Outside the door, Shao Tian asks Fei Fei to get him Cai Hong’s contract (where she sold herself). 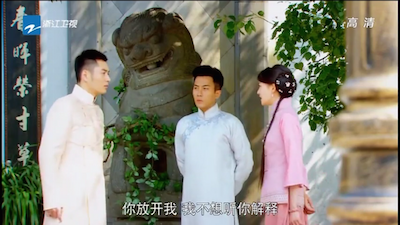 Fei Fei initially refuses, but Shao Tian brings up good points: they both have the same objective to separate Cai Hong and Jiang Yu, and this can get Cai Hong out of the Jiang mansion. Sigh this is such a foreshadow of what will happen. 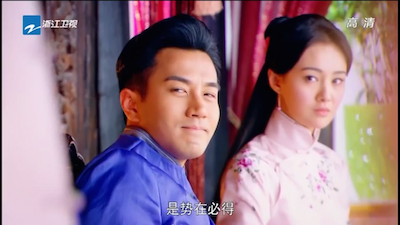 So far Fei Fei hasn’t turned evil – even though she does catty things here and there (but they’re understandable). 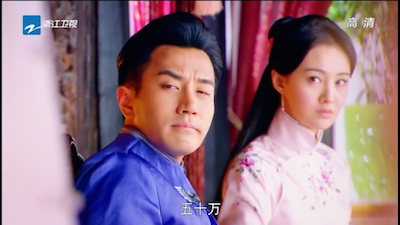 I hope Fei Fei doesn’t turn into a villain! 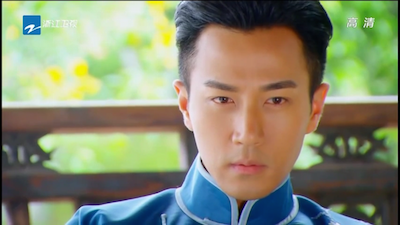 Meanwhile Shao Tian is investigating Papa Jiang’s death, and Wu Hong Da’s involvement. 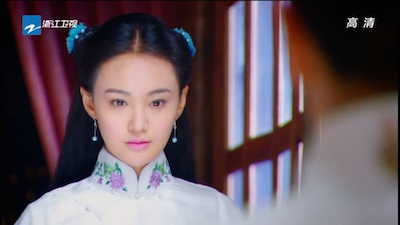 He sends Ma Li, his underling, to go investigate. It’s not directly stated, but it’s implied that he’s trying to use this information against Jiang Yu. 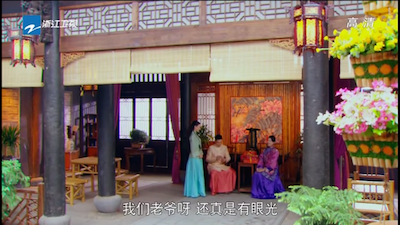 Meanwhile, Jiang Yu finds out from Fei Fei that Shao Tian is trying to buy the old Wu mansion since it was confiscated after the Cai Hong and her family declared bankruptcy. 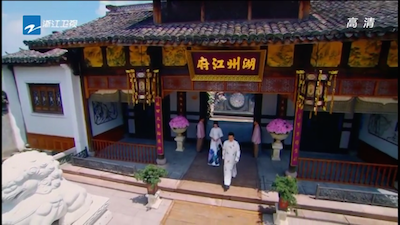 He takes Cai Hong, along with the fei police chief to go door to door to each lender to prove that Shao Tian did not borrow money from them. 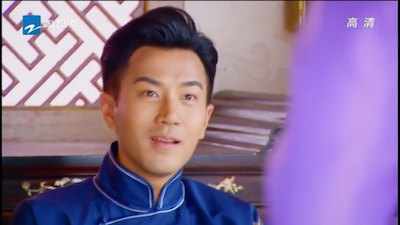 This is how fei (useless) that the police chief is, because he has nothing better to do than accompany rich wealthy men to prove to their crushes that his love rival is shady. Hazardous bridge needs some handrails. 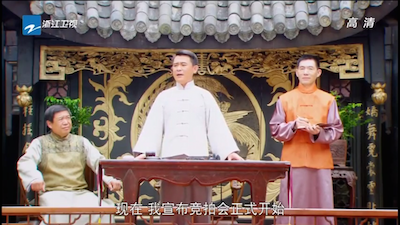 After an entire day of interviewing lenders, Jiang Yu and Cai Hong determined that they all did not lend any money to Shao Tian. 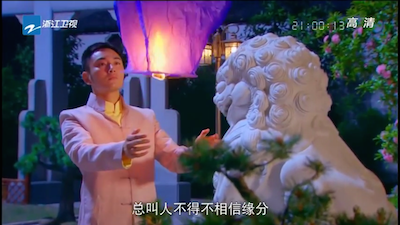 Anyways, Jiang Yu approaches the realtor that is selling the Wu mansion and challenges him to buy the house. 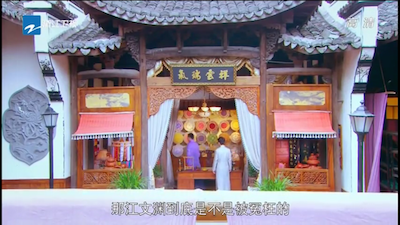 Initially the realtor takes Jiang Yu’s deposit, but returns it back to Jiang Yu after Shao Tian increases the buying price. 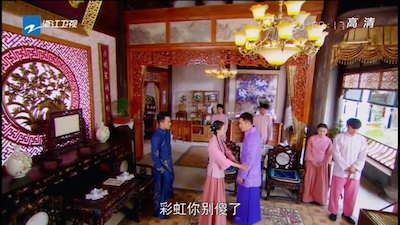 Jiang Yu proposes that they have a public auction for the mansion, and the realtor and Shao Tian agree. 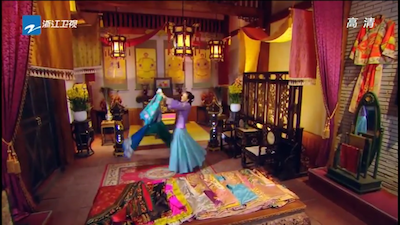 Meanwhile we have this very ‘WTF’ scene with Lu Man where she spins around with a dress. 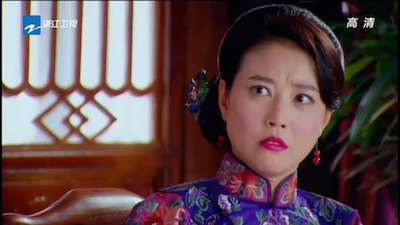 I really don’t know if it’s her acting, my bias, or the scene in general that made me cringe during this scene. She was just laughing really fakely with this dress while she spun. And she had flashbacks of her mom. She falls to the ground and starts crying. 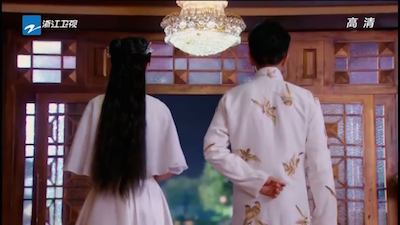 My hypothesis for her obsession with the secret method is that her mother used to be royalty (like a consort or something) and since this dress is stained, she wanted to secret method to fix it. That’s just my guess. 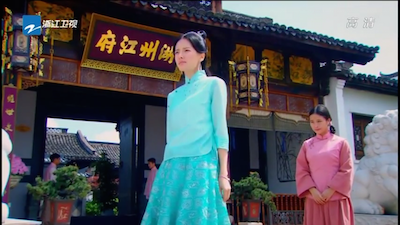 She reverts back to normal after her sidekick comes to tell her that Shao Tian is in an auction for the Wu mansion. 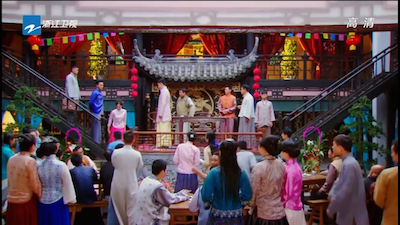 Jiang Yu brings Cai Hong to the auction and Shao Tian bids a ludicrous amount of money on the old mansion – fifty thousand dollars. 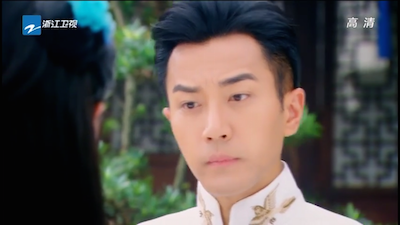 Jiang Yu shrugs and pulls the cutest yet derpiest face to Shao Tian. 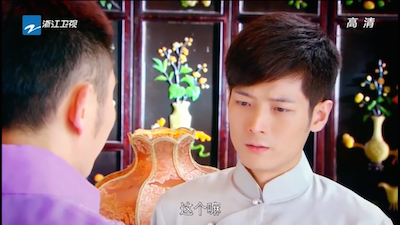 Cai Hong confronts him about the purchase. 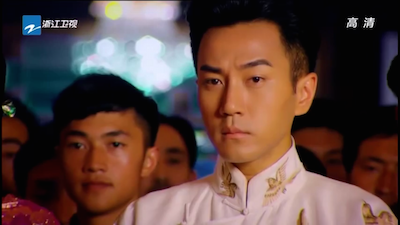 Shao Tian explains that the money was from lenders and from his salary plus bonus – which both Jiang Yu and Cai Hong disproved – his salary didn’t pay that much, and there wouldn’t be a bonus because Rong Da just opened, and they already proved that none of the lenders had lent Shao Tian money. Cai Hong storms off. 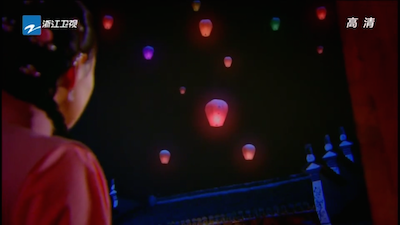 She refuses to see Shao Tian afterwards, and Shao Tian flies in this little balloons to beg her to come out. 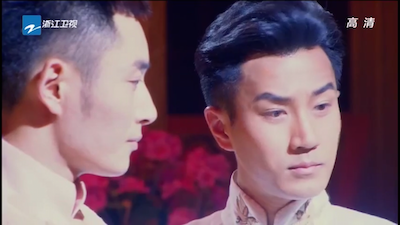 It’s a pretty sight and a good tactic, but Cai Hong refused to see him after realizing he lied. 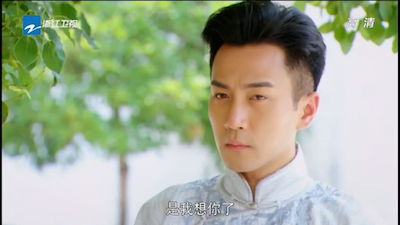 The next day, the manipulative Shao Tian approaches Cai Hong’s family and begs them to help him. 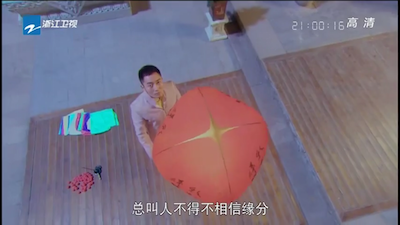 He gets passes on a fake letter saying Cai Hong’s step mom is sick, and that she needed to see Cai Hong right away. 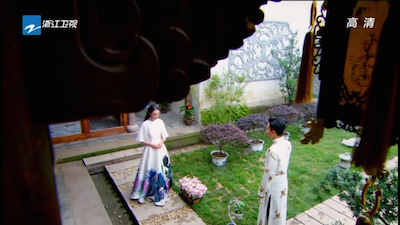 After thinking that her stepmom is sick, Cai Hong immediately approaches Jiang Yu to allow her to go home to visit her. 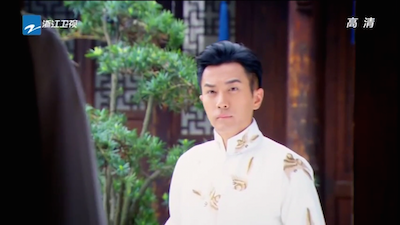 Jiang Yu, obviously having no idea of social etiquettes in the world, forces Cai Hong to allow him to tag along. Again he can only get away with this because he’s handsome. Imagine Mr. Burns insisting on leaving with you to go home. 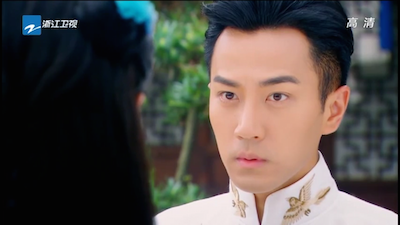 Until Jiang Yu cutely pipes up and says “I’d like to listen to your explanations”. 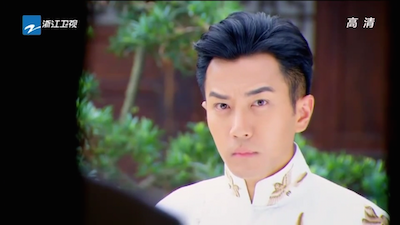 Shao Tian vaguely explains that he got the money from Lu Man for doing a dangerous mission that could cost him his life, and that he can’t tell Cai Hong what it is because of the level of confidentiality. 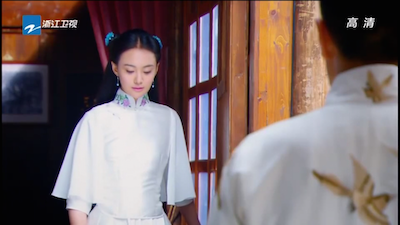 Jiang Yu pulls her away and takes her back home. 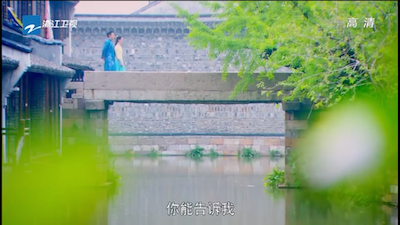 And on her way back home, she starts believing in Shao Tian’s lies and that he’s innocent. I’m so fed up with her gullible behaviour, but I guess I understand how it’s hard to believe someone that you’ve trusted for so long is lying to you. I would just wish the plot would move a little faster. Episode 17 & 18 are very laggy too, so I’m just anticipating 19 and 20.